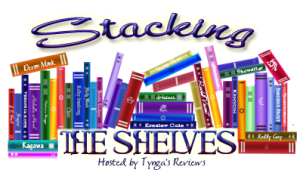 A huge #BookHaul this week in my Stacking the Shelves (1 April) post! I have a HUGE book haul to share with you this week as I was lucky enough to win a TBR of Dreams run on twitter last weekend and the books arrived on Monday. I also was sent some gorgeous ARCs this week so it all adds up to a bumper Stacking the Shelves post this week! I’ve been a huge fan of Jean Rhys for many years now but I’ve never sat and read all of this short story collection. My copy got lost a while ago so I finally bought another copy and it will be a real treat to sit and read this collection. Sleep It Off Lady, originally published in late 1976, was famed Dominican author Jean Rhys’ final collection of short stories. The sixteen stories in this collection stretch over an approximate 75-year period, starting from the end of the nineteenth century (November 1899) to the present time of writing (circa 1975). Quite a few of my favourite bloggers have featured this book recently in the run up to publication so I knew I had to buy a copy as soon as it was released. The synopsis sounds really intriguing and I’m sure this will be a book I very much enjoy. This novel is currently just 99p on Kindle so it’s an absolute bargain! I’ve had this book on my wish list for a while now so when I spotted it in the spring sale for Kindle I snapped it up. I’m really keen to read this one so I’m putting it quite high on my TBR. Róisín Burns has spent over twenty-five years living a lie. Brian Lonergan, a rising politician, has used the time to reinvent himself. But scandal is brewing around him, and Róisín knows the truth. Lonergan stole her life as a young girl. And now she wants it back. I’m not sure where I first heard about this book but when I saw it was a kindle daily deal this week the title and cover were already familiar to me. I read the synopsis and it seems like one of those books that needs to be read at the moment. I think I’ll need to be in the right mood to read it but I hope I can get to it soon. A vain, outlandish, anti-immigrant, fearmongering demagogue runs for President of the United States – and wins. Sinclair Lewis’s chilling 1935 bestseller is the story of Buzz Windrip, ‘Professional Common Man’, who promises poor, angry voters that he will make America proud and prosperous once more, but takes the country down a far darker path. As the new regime slides into authoritarianism, newspaper editor Doremus Jessop can’t believe it will last – but is he right? This cautionary tale of liberal complacency in the face of populist tyranny shows it really can happen here. I’m a real fan of CJ Cooke – one of her earlier novels, The Guardian Angel’s Journal is a favourite of mine so I was thrilled when she offered up a handful of copies of her forthcoming novel and I was quick enough to get one. It arrived yesterday and I was super excited to spot that it’s a signed copy. I can’t wait to read this book! I can’t even put into words how excited I was when the publisher of this contacted me to ask if I’d like to review it. I have heard so many great things about this book and have been so keen to read it. I’ll be starting this one very, very soon! I’ve seen pics of this book on social media over the last week or so and have been so keen to find out more about it. I then spotted it was on NetGalley so requested it and was super excited to get approved the following day. The book’s not out until August so I feel like I should try and wait a little while before reading but I’m not sure I can resist it! This was my surprise book post of the week and I’m very happy to have received it. It sounds like the kind of book I’ll really get engrossed in so I’m keen to read it soon. Trapper was my family even though I didn’t know a sure thing about him… Trapper was the kind a’ family you choose for yourself, the kind that gets closer’n blood. He was what I chose and I chose wrong. Lost in the harsh forest as a child, Elka was taken in and raised by the man she calls Trapper, the solitary hunter who taught her all she knows. So when Elka sees the Wanted poster in town, her simple existence is shattered. Her Trapper – Kreagar Hallet – is wanted for murder. Even worse, Magistrate Lyon is hot on his trail, and she wants to talk to Elka. As winter sets in, Elka flees into the vast wilderness, determined to find her real parents. But Lyon is never far behind, and she’s not the only one following Elka’s every move. Soon Elka must confront the darkest memories of her past- and end Trapper’s killing spree for good. I was contacted by the publisher about this book to see if I’d like to read it for the blog tour and I immediately said yes. I’ve read and enjoyed one of Rebecca’s previous novels and this one sounds like something I’ll love. I’m looking forward to starting this one. I was invited to read this one on NetGalley, which felt very serendipitous as I’d earlier read about the book and very much wanted to read it! I don’t think this will be waiting on my TBR for very long. I’m taking part in the blog tour for this book in May so am looking forward to reading the book before then. I’ve not read any of Paul Hardisty’s other books but I’m intrigued to see what this one is like. I also won a TBR of Dreams giveaway on twitter this week, which included NINE fabulous books. I was super excited to win a copy of this as it was on my wish list and I’ve been so looking forward to reading it. I then read an article about Alice Martineau who inspired this novel so I’m intrigued to read it. I’m hoping to start reading this over the next week or so. This sounds like a lovely, light-hearted summer read and one I think will be perfect when I’m in need of a pick-me-up. I love the sound of this book from the synopsis, I think it’ll be another book to keep for when I need a feel-good read. I actually read the first novella in this collected series at Christmas last year and wanted to read the rest of the novellas but hadn’t yet got around to it. So I was really happy to find this book in my giveaway win as I can now revisit the first part and then find out what happens in the rest of the novel. A Year at the Star and Sixpence is Holly Hepburn’s four Star and Sixpence novellas collected together as a novel for the first time. I read a couple of Adriana Trigiani’s novels years ago and really enjoyed them but I haven’t picked one up since. I’d heard of this book and thought it sounded great but hadn’t picked a copy up as yet, so I was pleased to win a copy. I love the era that this book is set in so I think it’ll be making its way to the top of my TBR very soon. Clark Gable, Loretta Young, Spencer Tracy, David Niven, Carole Lombard lead a magnificent cast of characters, real and imagined, in Adriana Trigiani’s new novel set in the rich landscape of 1930s’ Los Angeles. In this spectacular saga as radiant, thrilling and beguiling as Hollywood itself, Trigiani takes us back to the golden age of movie-making and into the complex and glamorous world of a young actress hungry for fame, success – and love. With meticulous, beautiful detail, she paints a rich landscape, where European and American artisans flocked to pursue the ultimate dream: to tell stories on the silver screen. This sounds like a gorgeous read and one I’m really keen to get to soon. I think this may be the book I read after the Alice Peterson novel! I’ve loved the three previous novels I’ve read by Melissa Hill so I have high hopes for this one. I’m really looking forward to reading this as soon as I can. I’ve read a few reviews of this on blogs over the last week or two and it sounded like such a lovely, warm-hearted read. I was so happy to find I’d won a hardback copy in the giveaway and am definitely going to be reading this soon. I haven’t read a Patricia Scanlan book for about fifteen years now but I have fond memories of enjoying escaping into one of her books. I’m looking forward to reading this new one for nostalgia’s sake. In a beautiful southern Spanish town, where the sea sparkles and orange blossoms scent the air, the gates of a brand new apartment complex, La Joya de Andalucía, glide open to welcome the new owners.